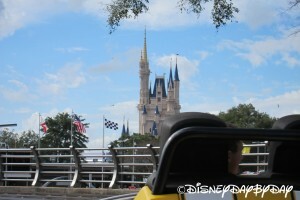 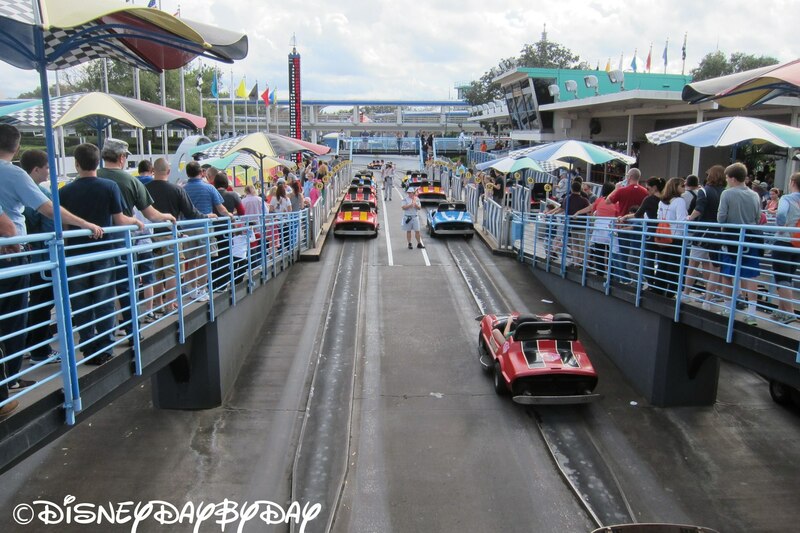 Fastpass+: No Ride Duration: 5 minutes Year Introduced: Oct 1971 Height Restriction: 32 inches minimum. 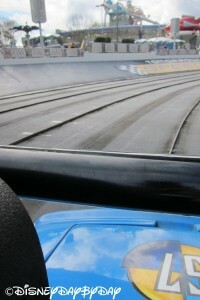 54 inches to ride alone. 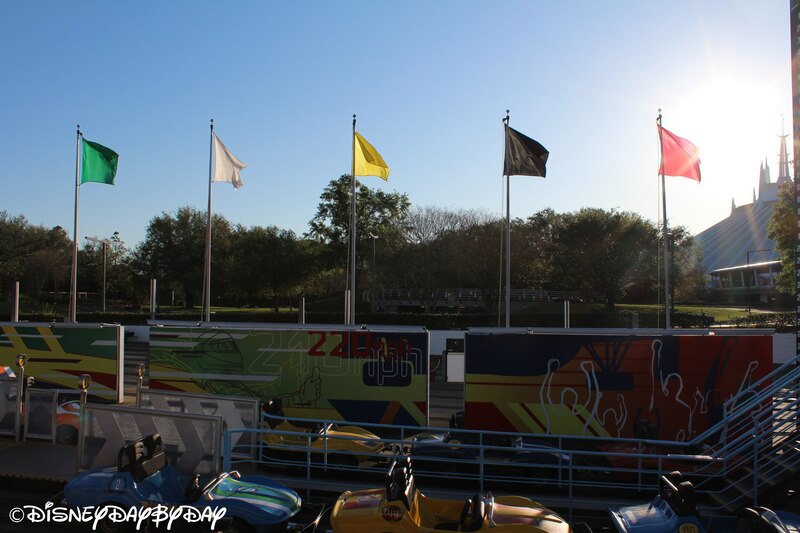 Start your engines, and slam on the gas to race at speeds of up to 7 Mph. 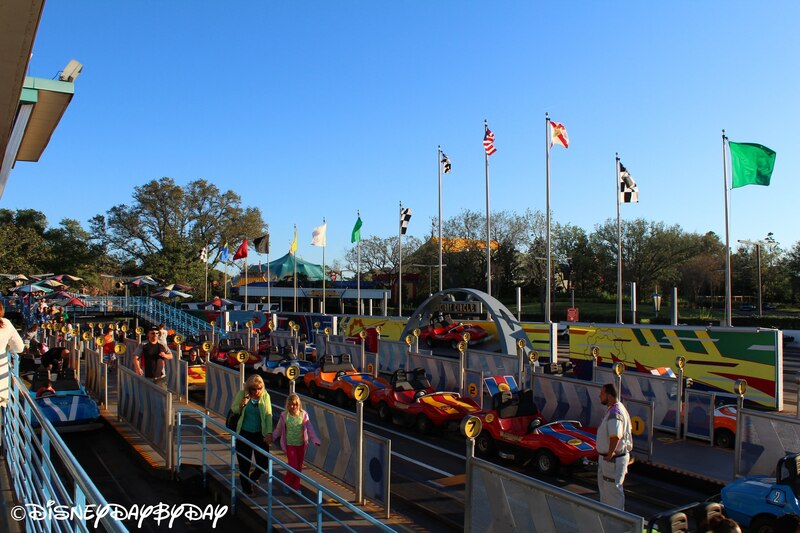 Feel the wind in your hair and bugs on your teeth as you race to the cheering crowds. No there is no time for a pit stop, so be careful not to bump the car in front of you. 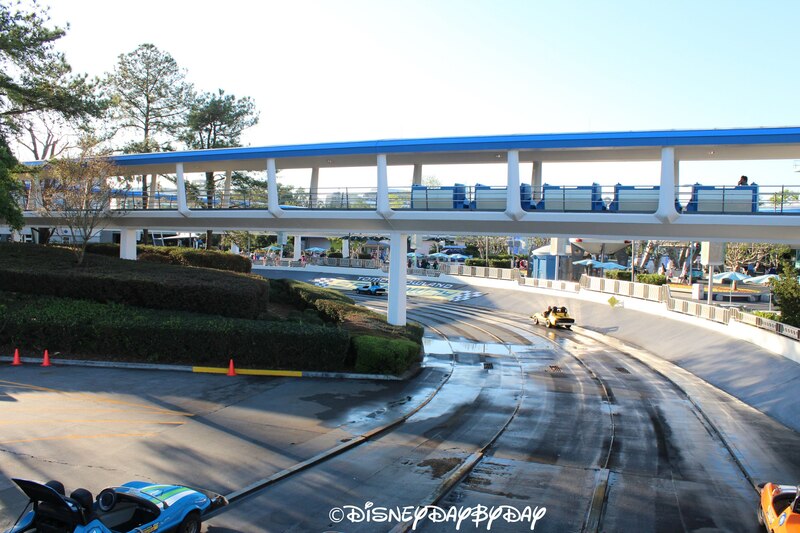 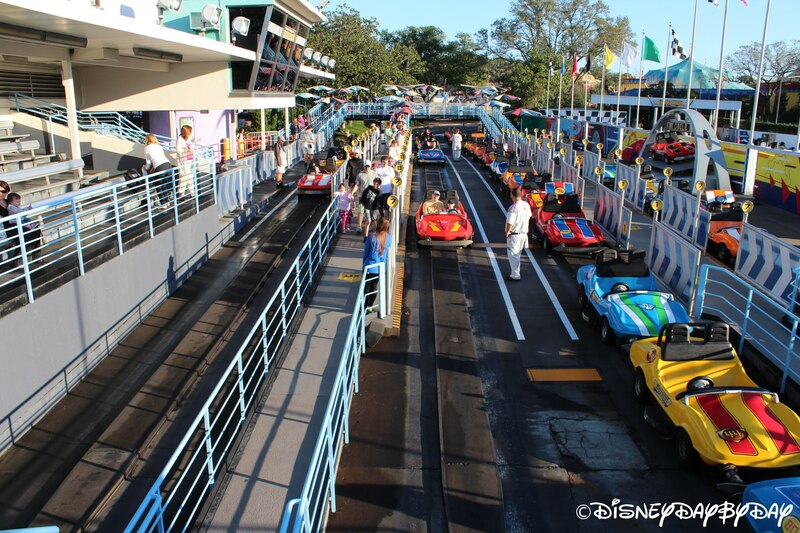 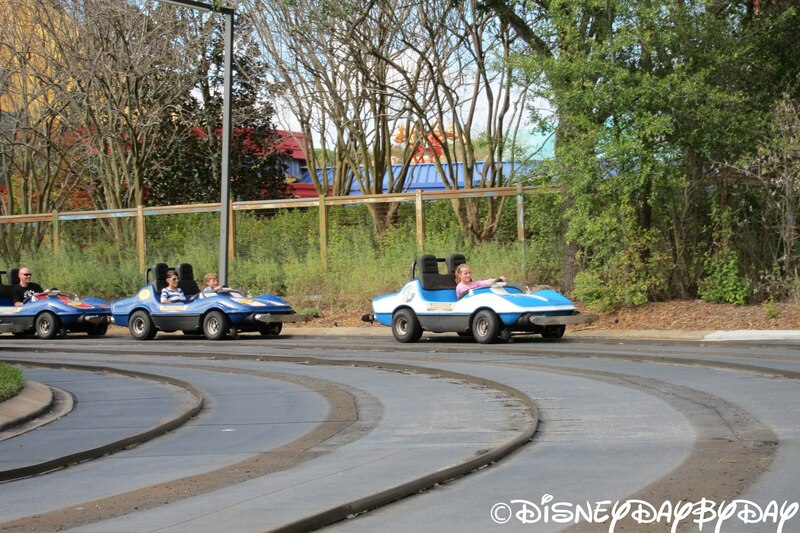 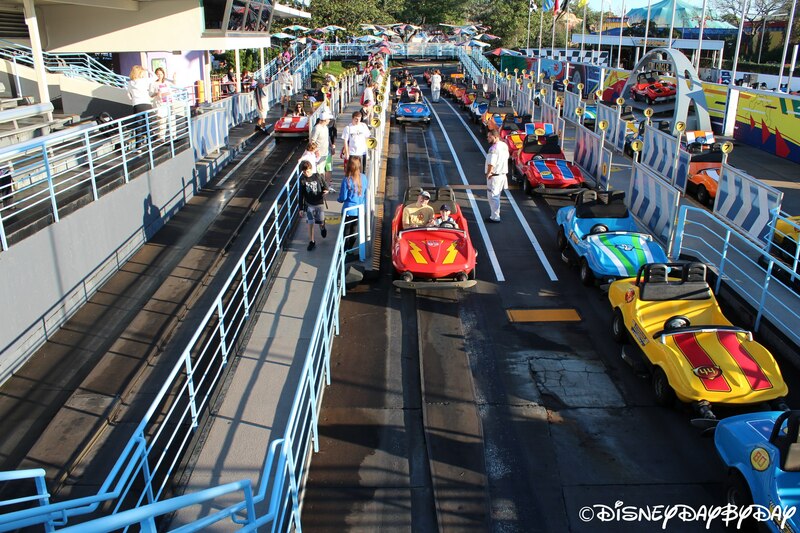 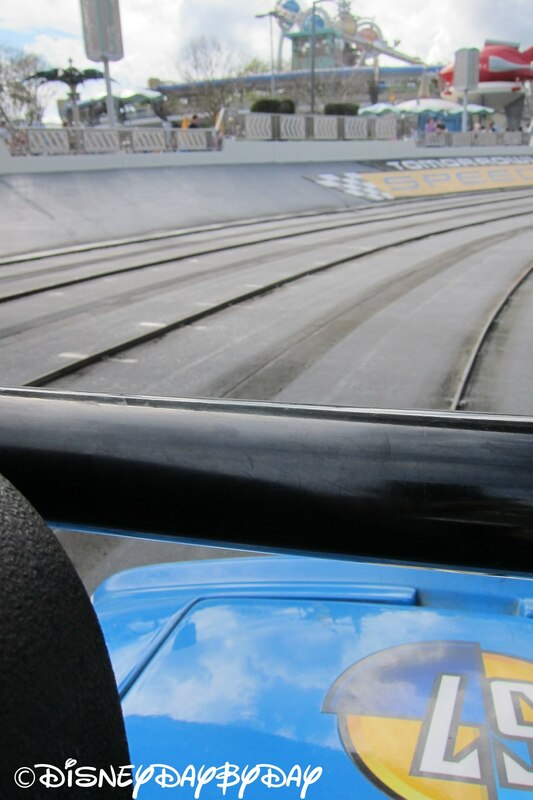 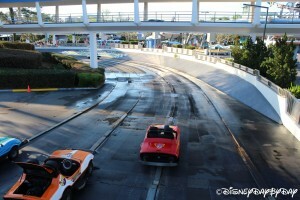 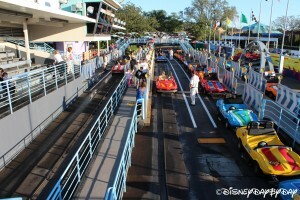 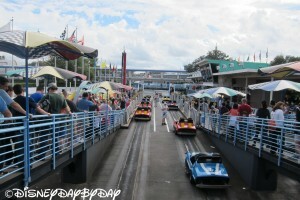 The Tomorrowland Speedway is a race track with cars modeled off of race cars of today which draws in the young kids and those young at heart. 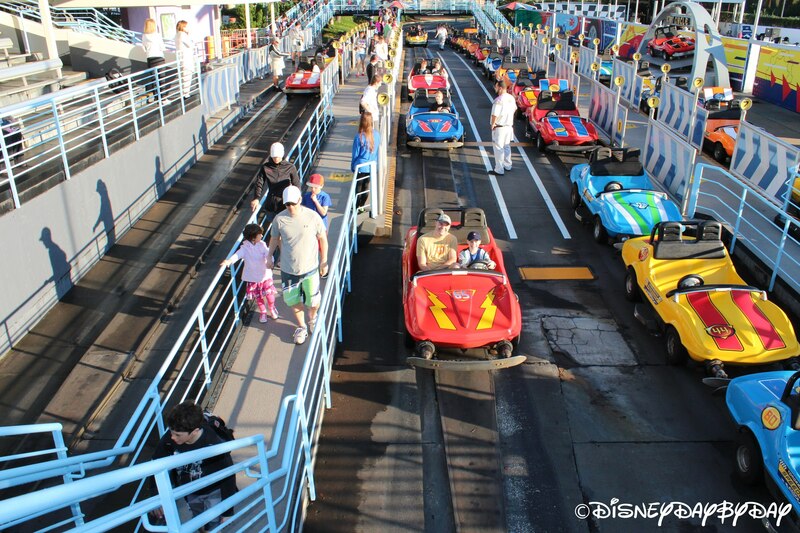 You have to be 32 inches to ride on this attraction, and yes you can steer. An adult must ride along side until you reach the height of 54 inches. 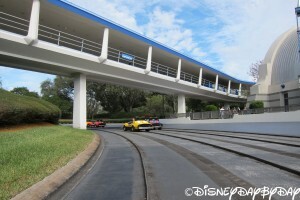 That adult will help you push on the gas pedal, which can be hard to push, and can cause a tired foot as you traverse the 2,000 feet of track. 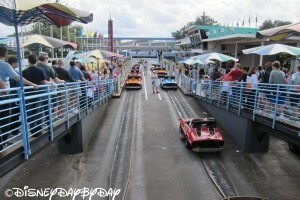 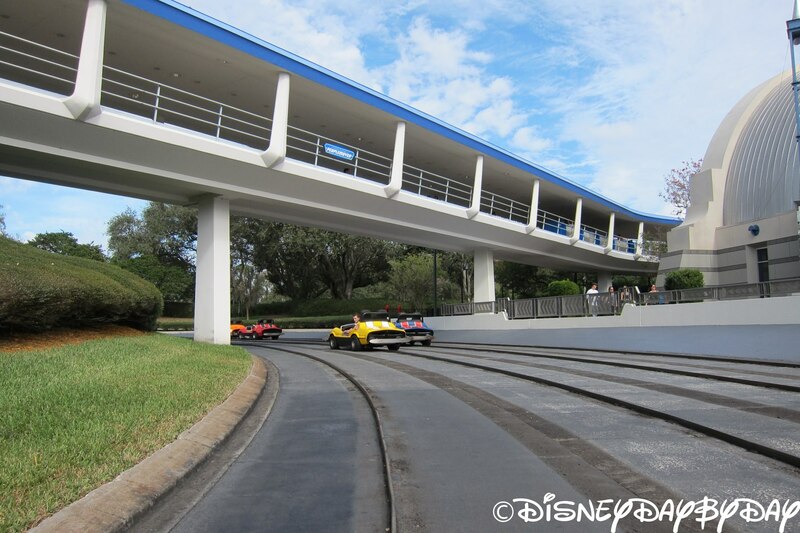 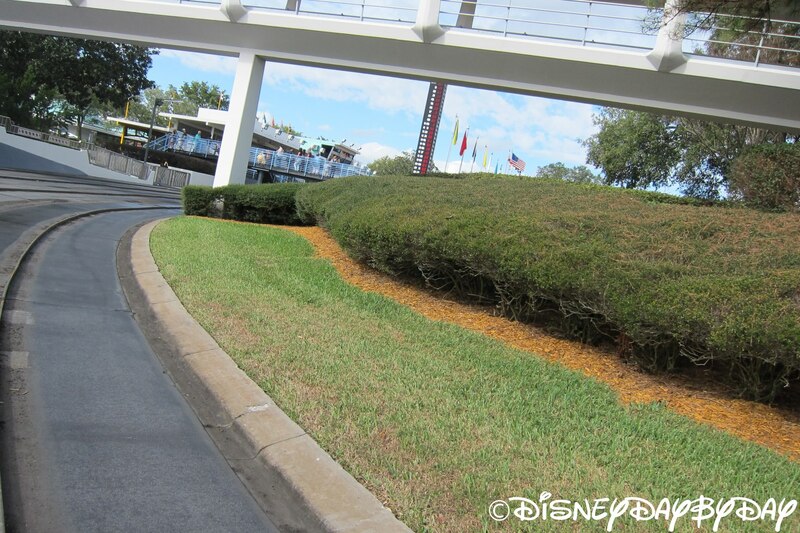 Tomorrowland Speedway is a classic Disney attraction and the line is a slow mover which doesn’t have much shade, so this attraction is best experienced early or late in the day. 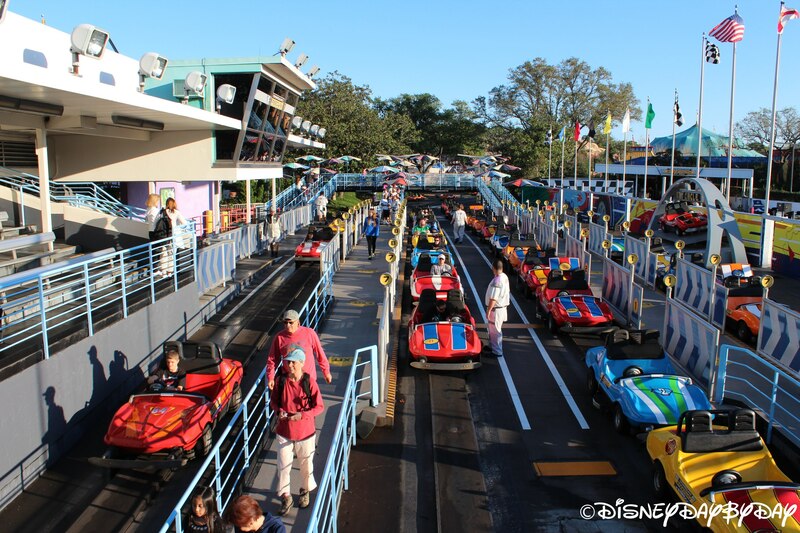 If you do race with a young one be prepared to be jerked back and forth as the steering takes a bit getting used to and if you over steer you end up just jerking from left to right. 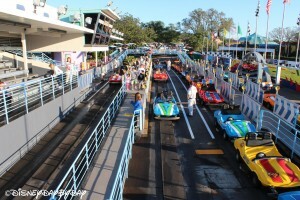 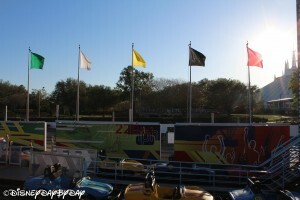 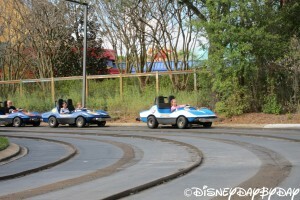 Classic attraction and what kid (young or not young) doesn’t want to drive a racecar?